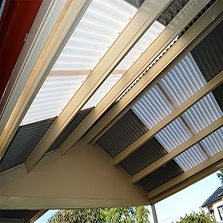 Welcome to the beautiful world of M.E.L Pergolas, the Best Pergola Builders in Melbourne. 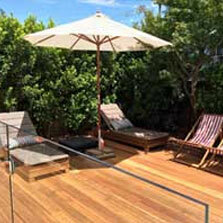 If you are looking to efficiently utilize your outdoor space in an elegant fashion, you have come to the right place. Our aim is to cater for each of your expectations in terms of space utilization and aesthetics. The process is simple and efficient. On a prescheduled date and time, our representative will come to your house/site. After taking into account all your inputs, you will be advised of the best possible structures. We are experts in all kinds of structures and their combinations. We do gable, flat, curved and cantilevered structures. 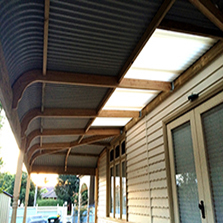 Our appropriate use of materials such as timber, steel, color bond sheets, insulated roofing, laser lights, etc makes the structure aesthetically appealing while meeting all your requirements. 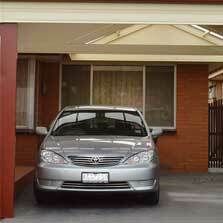 We would provide free quote, within 72 hours in Melbourne CBD, Eastern, Western and Northern Suburbs. These include Richmond, South Yarra, Windsor, Malvern, Elwood, Elsternwick, Caulfield, Ashburton, Glen Iris, Camberwell, Hawthorn, Brighton, Okaleigh, Burwood, Mont Albert, Balwyn,Yarraville, Newport, Williamstown, Altona North, Altona,Seabrook, Point Cook, Williams Landing, Hoppers Crossing, Werribee, Derrimut, Albion, Ardeer, Derrimut, Caroline Springs, Sunshine, Braybrook, Maribyrnong, Deer Park, Cairnlea, St Albans, Keilor Downs, Kealba and Keilor East. 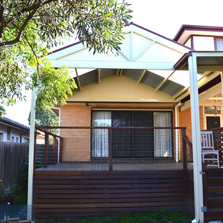 In all other suburbs as listed HERE, we would provide free consultation and quote within seven working days.